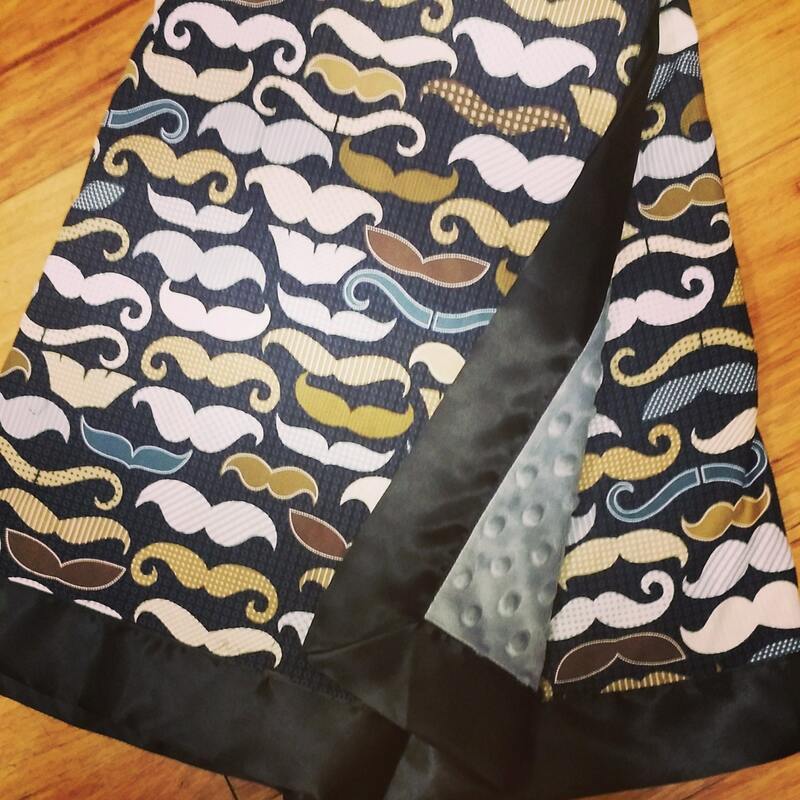 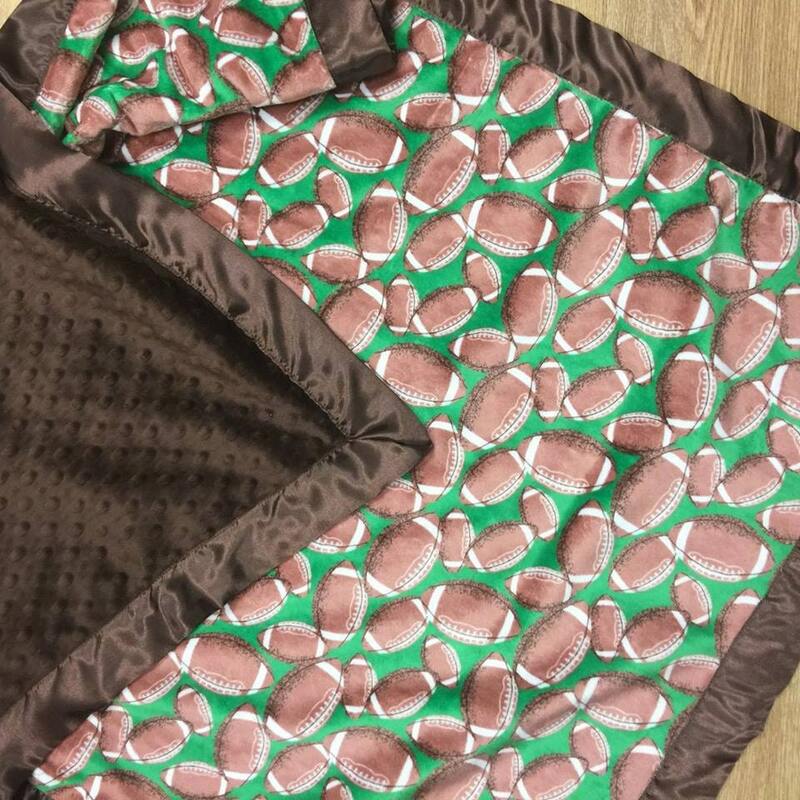 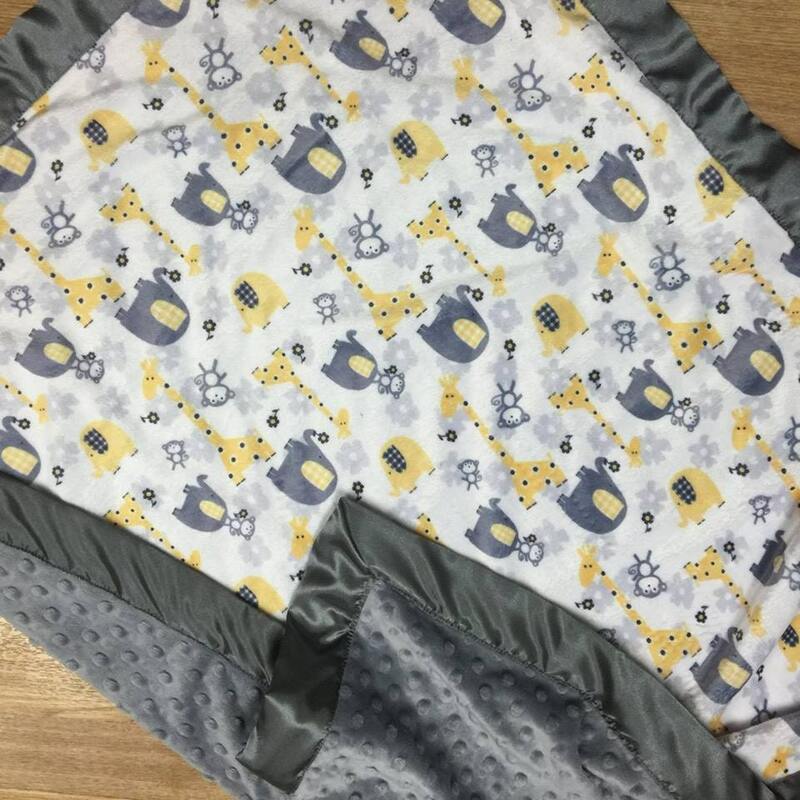 This luxurious minky blanket has been finished with a brown satin binding. 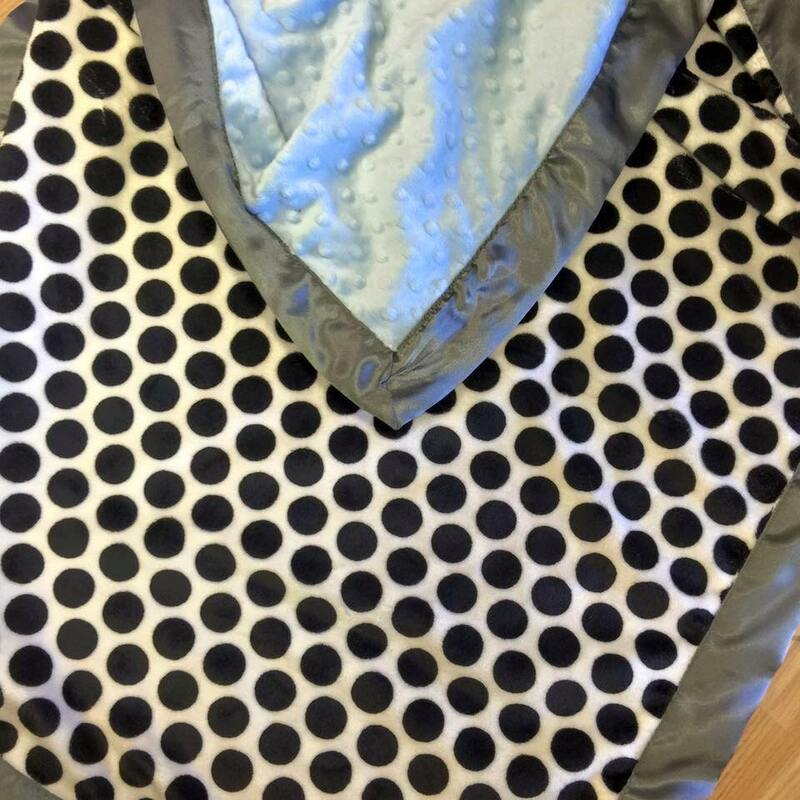 This has a minky western fabric on top and brown minky dot on the bottom. 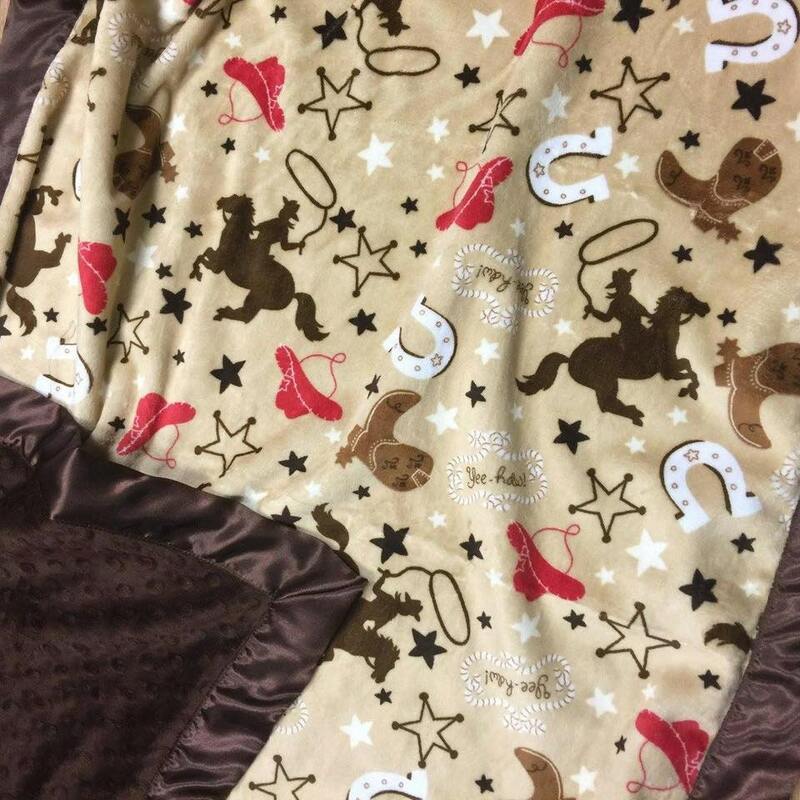 We take our blanket everywhere 😊🤠 love it!